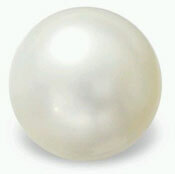 Description : Pearl brings health, wealth, long life, and good luck to its wearer. It wards off evil effects. It forecasts danger and sickness.It is used in love potions. Sleeping with a pearl beneath the pillow will help childless couples conceive. Treats mental ailments, jaundice, snake and insect bites. Lucky for: Cancer & Leo. To know more informations about pearl Click here.